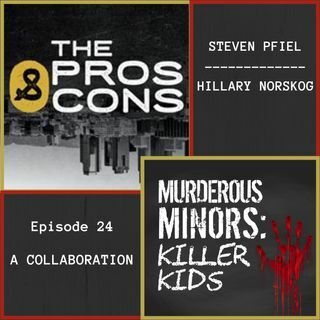 On July 17, 1993, the body of 13-year-old Hillary Norskog was found, beaten and stabbed by 17-year-old Steven Pfiel. The Pfiel family fled Palos Park, Illinois, for St. John, Indiana however they could not outrun Steven’s violent and destructive fate. Don’t Forget to subscribe to Bernadette on Murderific True Crime Podcast, and make sure to rate and review! This episode ... See More sponsored by AMC Network’s exciting new streaming service, SHUDDER. If you like horror, thrillers and suspense, head to https://www.shudder.com at once! This episode sponsored by the deliciousness of HelloFresh! If you’re ready to start the new year cooking outside of your comfort zone, head to https://www.hellofresh.com, today! Mixed and mastered by Resonate Recordings. Podcasting is for everyone; visit https://resonaterecordings.com to have your first episode produced for free!